The kitchen may not be your favorite room at the moment, but the truth is, it is one of the most important areas in one’s home. After all, this is the place where you should spend time preparing healthy meals for you (and your family), and sometimes it may double as a dining room as well, and even a gathering place for the whole household. Not to mention that kitchen is the biggest source of energy waste in one’s home. In that respect, remodeling your kitchen to fit your preferred décor/design style and to make it more sustainable is always a good idea and a very smart investment. 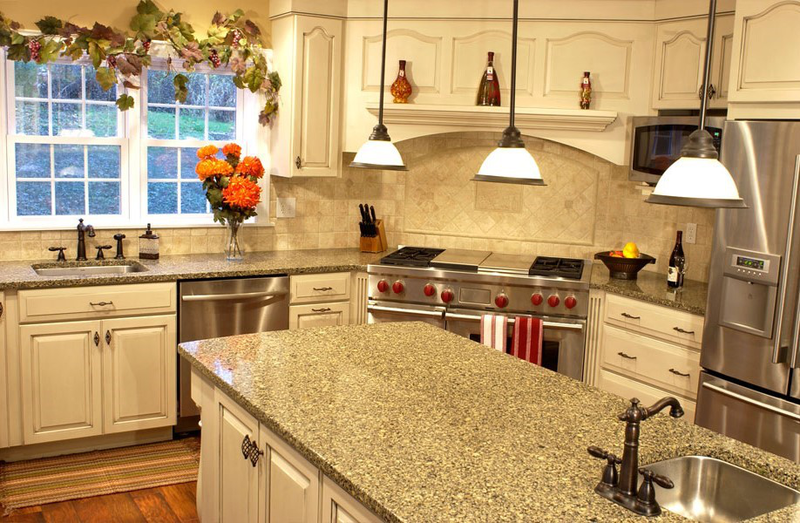 However, what options do you have if you have a limited budget for your kitchen remodel? Keep on reading to find out. Lighting is an essential part of any kitchen setup. Not only do you need ambient lighting solution, but task lighting is also a must for proper and safe kitchen work. And, in case you want to pay a greater deal of attention to the overall look and feel of the kitchen, you may want to add some accent lights as well. Obviously, the best option here is to opt for LED lights. These are long-lasting and energy-efficient. What’s more, you can get self-adhesive LED strips or other lights to add the necessary illumination yourself, wherever you need it. To make things more stylish, look up some fun light covers/shades DIYs that will prove to be a budget-friendly option for this particular aspect of your kitchen. When it comes to your walls, you can definitely make your kitchen remodeling cost-effective. 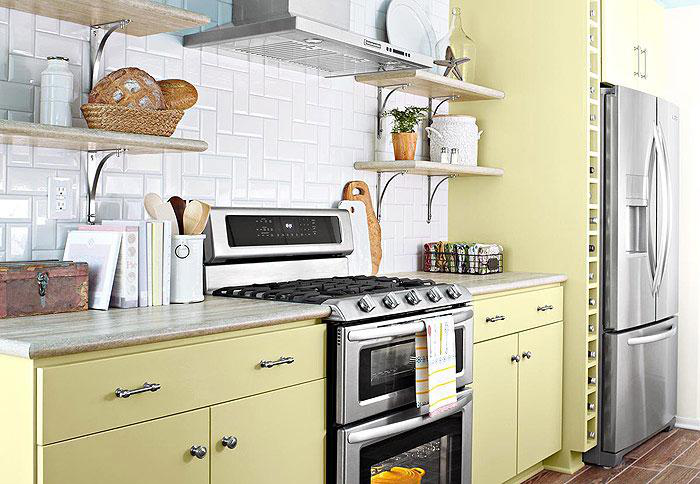 If you feel like your kitchen needs a fresh coat of paint, paint it yourself. Of course, you can make something more interesting and inspiring by choosing colors that may be unusual for a kitchen but feel perfectly motivating to you. 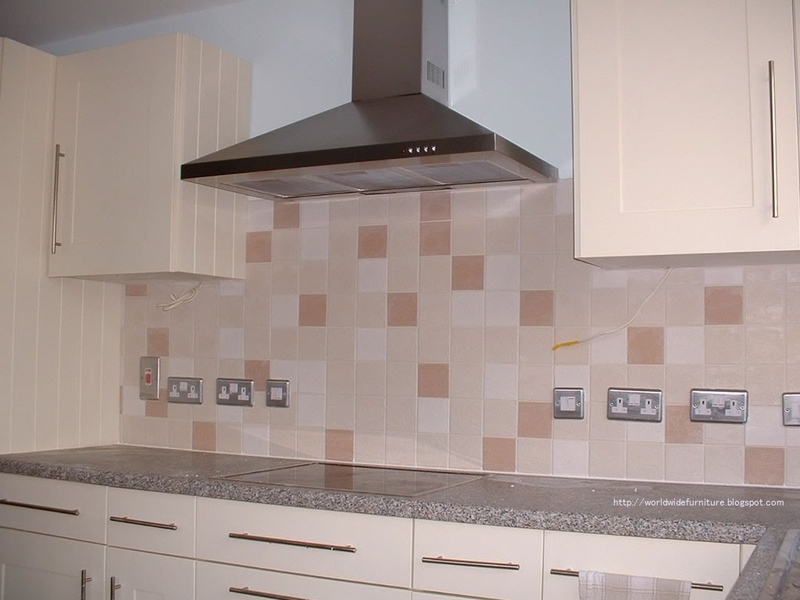 If you want to have wallpaper in your kitchen opt for the self-adhesive one. What’s more, vinyl wallpaper can be a great choice for a backsplash, if you don’t want to deal with tiles. And, when tiles are concerned, keep in mind that you don’t have to replace them all. Replace just the broken ones, or, if you’re just tired with their plain look, replace a couple random tiles with ones that have unique patterns. This will break the monotony and create a nice effect. If you want a cost-effective solution for your old appliances, always look into the possibility to repair and upgrade them, before deciding to replace them completely. Of course, this will not always be an option. Therefore, the best thing you can do is actually invest some money in new appliances at first, and wait for them to pay off in the long run. After all, this isn’t the case when you need to be frugal at all costs. Some appliances are essential for a comfortable and healthy lifestyle in this day and age. Essentially, it’s always better to get a top-quality star-rated Electrolux refrigerator, for example, and have it in great working order for years to come while saving money on electricity, than to go for a really cheap one instead that can end up costing you a lot more in the long run. If you need more work on remodeling that involves the kitchen elements and even layout, remember that the most efficient kitchen layout is U- or L-shaped. Changing the countertops can end up costing you a lot of money, but if you are ready to tackle this project yourself and use self-adhesive wallpaper or other appropriate panels for this purpose, you can deal with this task painlessly. Of course, don’t forget that you need to add a proper finishing coat to your countertops. Your cabinets, on the other hand, can be dealt with simple sanding (if necessary) and new paint. Just make sure that the wall cabinets are properly secured. Moreover, with simple waterproof metallic spray paint, you can change up the look of your kitchen faucet and sink, as well as other fixtures, too. Once you’re done with the main portion of the remodeling project, don’t hesitate to add personality and warmth to your kitchen. Wall art, cushions, tablecloths, fruit bowls and vases, curtains, and so on, all make a big part of kitchen décor, just like they would in any other room. 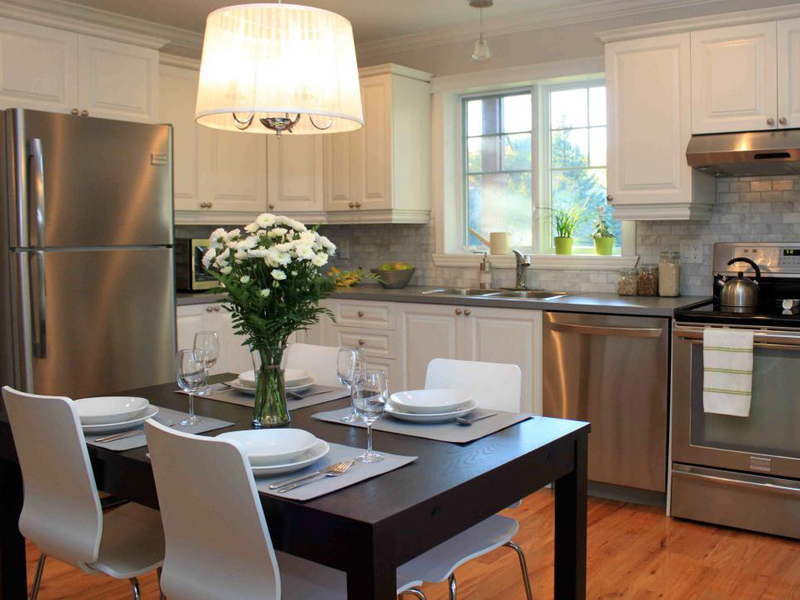 The kitchen also needs some accessorizing to feel warm, comfy, cozy and inspirational, so don’t ignore this.